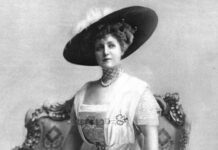 Debra Prinzing. Photo by Kathy Jentz. 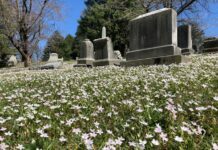 I’m a big fan of Debra Prinzing and her amazing Slow Flowers movement, which I generally describe as “local and seasonal flowers” but Debra explains a lot better in this guest post. 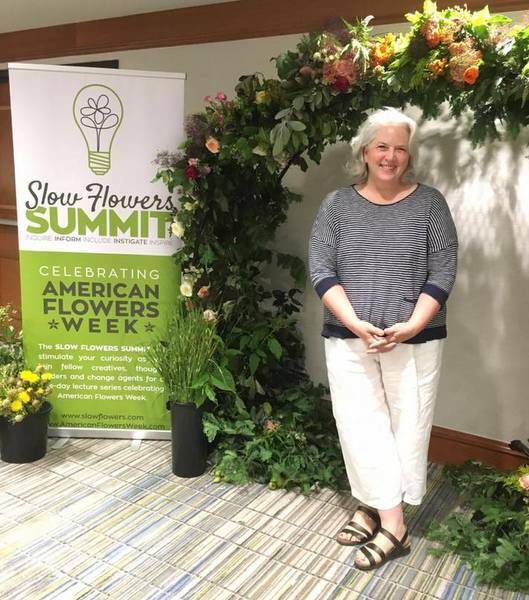 One of the many cool things that Debra does is put on wildly successful Slow Flowers Summits, and I was able to attend the second of them, here in D.C. It brought about 100 “doers and thinkers” together from across the U.S. 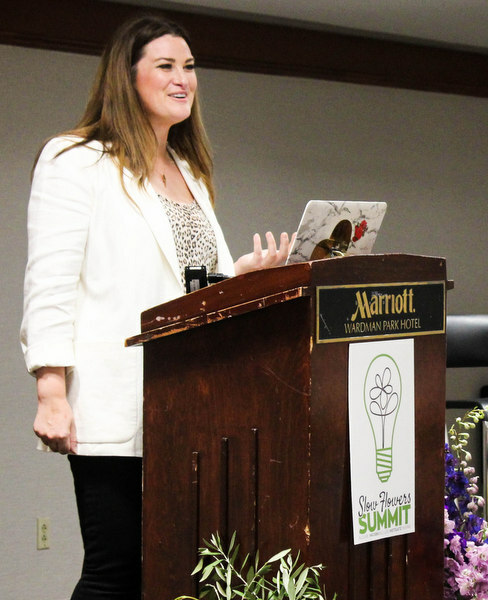 Right out of the gate, the keynote speaker Christina Stembel, CEO of Farmgirl Flowers, blew me away. Unlike any speaker I’d ever heard at a gardening event, Stembel talked really fast and used business school/Silicon Valley terms like “What’s your value prop? and “We only have 12 SKUs.” And her chutzpah was obvious, telling us she’s determined to grab $1 billion of the $3 billion e-flowers business. The Silicon Valley language is no surprise, given her location in the Bay Area, her previous job doing events for the Stanford Law School, and her husband’s career at Facebook. Her lack of a college degree obviously isn’t holding her back. 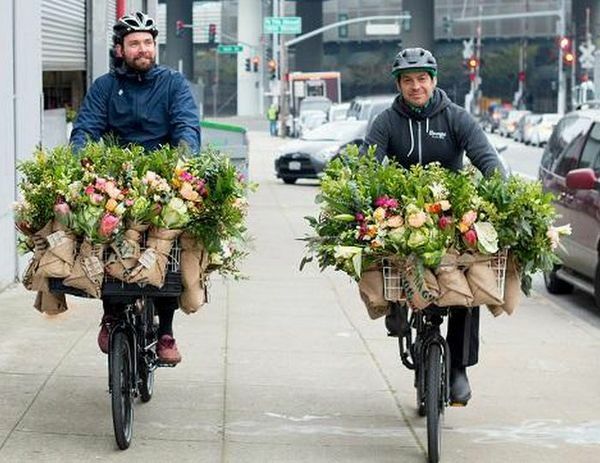 Cyclists do all the Bay-area deliveries of Farmgirl bouquets. Great advertising! As a result of offering “fewer, better options” – basically whatever is available at the time the order comes in – it has less than 1 percent waste. Customers can choose color palettes but not particular plants. She discovered the surprising demographics of e-flower buyers: they’re mostly women (78 percent) buying for other women. 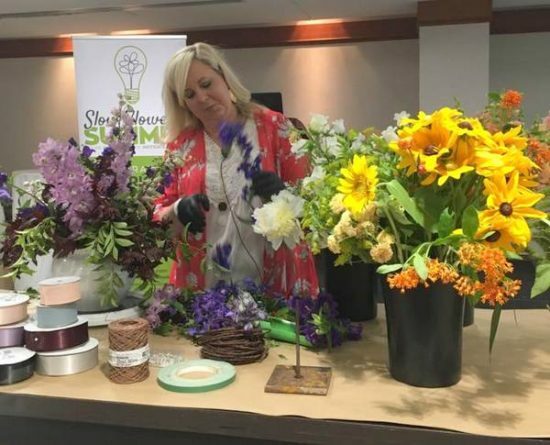 While the leaders in e-marketing of flowers spend an amazing $19.22 per unit on marketing, Farmgirl spends just $10, a number Stembel said she wants to increase. 95 percent of her marketing is digital. Farmgirl makes its bouquets in-house, which is atypical for online companies. Focus groups works! For example, she hates bromeliads herself but focus groups loved them and they’ve turned out to be a hit with customers. Spend time on company culture (even if it means slowing growth). In Farmgirl’s case that means more than Donut Fridays. 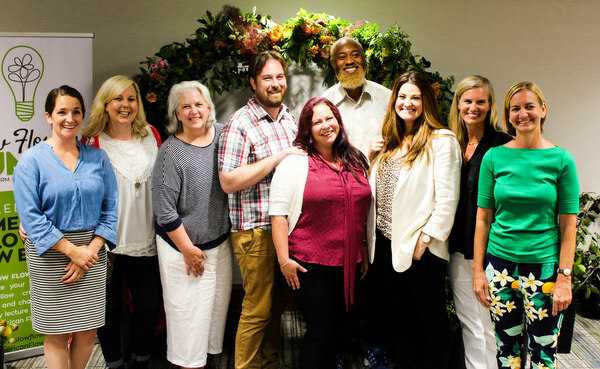 Debra with the Slow Flowers Summit speakers. Photo by Fetching Social Media. Kelly Shore of Petals by the Shore in Maryland. Thanks to the Summit, I got to hang out with some of my favorite locals – like Kaifa Anderson-Hall, recent winner of the AHS Horticultural Therapy Award. Next articlePainted plants? It’s only Ok when I do it. 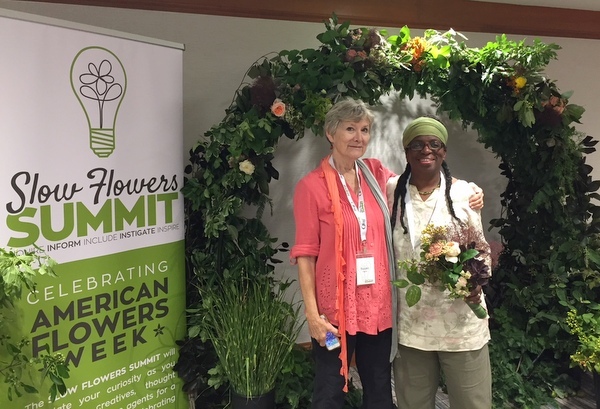 It was a terrific meeting and I loved connecting with slow flower growers and floral designers from all over the country, who came to visit DC for this (and the AIFD meeting). What a dream to “play with flowers” as a full-time career! Also, big props to Deb Prinzing for putting it all together! Great story about Farmgirl Flowers. Your statement that they currently source 80% of their flowers from Ecuador kinda threw me for a loop though, so I went to their website, and I think you might have gotten the numbers wrong (or maybe you have another source?). On their website, it says “We will continue to buy the majority of our flowers from US growers (at least 80% right now), and will be subsidizing with flowers we can’t get enough of here”, NOT that 80% of their flowers are sourced in Ecuador, as you state. Also, apparently they also give you the option of only using American-grown flowers in your bouquet, which is really nice. Thanks for the correction! I see their many U.S. growers still listed on the website, so 80 percent domestic looks to be still possible. I wish I could now find where I read the 80 percent figure the other way – possibly about just sourcing for Valentine’s Day? Yeah, I’m sure at certain times of the year it’s a lot harder to source flowers domestically. A favor for readers who receive Garden Rant in our inboxes, please: add the author’s name to your byline or headline, or at least sign the piece. It appears nowhere as we receive it and I must go to your website to see whose voice we’re enjoying. Thanks. I am so jealous (but in a good way!). I have been wanting to go to a slow flower summit since my dream Is to have a flower farm. 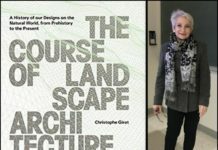 I have been following her for a while and have learned much from her. And may I say those flower and botanicals crowns are epic and gorgeous! Thank you, Susan! There’s not a video of the Farmgirl talk, is there? Not yet that I know of. Though I remember hearing that there WOULD be video available of the talks, and I’m eager to hear a couple of the ones I missed.